With the holiday's just around the corner, I decided I wanted to treat myself to something nice. Hey, I deserve it. I work hard. I get up early. Work, work, work. And when I'm not working, I'm working. So, yes, I deserve to buy myself something nice. I know you may be thinking that I have a wife that could do that. You are correct, to some extent. She will surely buy me something this year's holiday season. Unfortunately, the somethings are typically socks and underwear. If I'm lucky, on Christmas morning, when I visit my parents, I may even get more socks and underwear. I decided to look into buying myself some new camera gear. I recently came across this beauty. The Leaf Aptus II 12. Yes, now we're talking. Mikey likes it. This beast is the world's highest resolution camera on the market today. It comes in at a whopping 80 megapixels. My mouth begins to water. Price tag on this slice of heaven, $32,000!!! No, I did not type that incorrectly. You read right, THIRTY TWO THOUSAND DOLLARS. And wait, there's more, that's just for the digital back, camera body not included. Add your choice of medium or large format body and you start getting in the 40 grand territory. Before I rant, some details on the monster. The Leaf Aptus-II 12 and Leaf Aptus-II 12R support a wide range of camera brands including Phase One 645DF and AF and Mamiya 645DF and AF cameras, most Hasselblad V models and a selection of large format cameras via adaptors. To simplify and separate what the specifications specify (couldn't help myself). You can make really, really big photos. How big? Well, let's just say that if you could hang a nice 4x5 on your wall. Feet, not inches. Ok, this my be slight overkill for an average point and shoot photographer, but for gallery photos, awesome. As I browse the internet, gathering peoples opinions about the megapixel war, I've come to a conclusion. Yes, bigger is better. And I'm totally disagreeing with the majority. Most of the posts I've read, people are saying it's too much. Before you decide to exile me from the blogosphere, let me explain. Back in 1977 there was huge breakthrough in the tech world. The Apple II was released. It was one of the first mass produced PC's on the market. It was manufactured by Apple Inc. It became one of the first and most successful home computers. This huge innovative computer had an unheard of amount of storage, 143K. As years progressed the storage levels in computers began to rise. People said, "Who would ever need 1 gigabyte of storage?" They just thought it would be useless, wasted storage. People thought that it would take a century to fill up a gigabyte of memory. I recently had to buy a Lacie one terabyte external drive to store my RAW files. I thought to myself, It will take a lifetime to fill that drive. Back in 1998, I bought my first digital camera. It was some great new piece of technology. The Canon Powershot A5. I was the coolest guy on the block. Friends visited from afar to see this futuristic gadget. I knew little about photography at that time. I did know that this camera came in at a whopping 1 megapixel. The DSLR that I use today is a Canon 40d. I bought this about three years ago. In camera, it can shoot 10.1 megapixels and in Adobe Camera RAW it can be cleanly converted to 14.1 megapixels. When I bought the camera, there were few that had larger sizes. The technology was groundbreaking. Some of my friends could not believe that a camera of this caliber would exist. It was real futuristic technology. How could they go bigger? Why would anyone need such a camera? Any more megapixels would be, well, just too much. In September the Leaf Aptus II 12 digital back was released. Coming in at a mind blowing 80 megapixels, the world was stunned. People said that it is now too much. Pessimists whining that it would be totally unnecessary for a camera to have more than 80 megapixels. Now, $32,000 dollars for a piece of camera equipment, in my eyes, is a bit much but this is coming from the same person who has no shame in using a trash bag as a light modifier. Now, in years down the road, when a nice 80 megapixel Canon DSLR is released for a couple thousand dollars, and it will happen, I'm buying. And you know what? While I'm in the camera shop, I'll bet that the same person who was bitching and moaning about 80 megapixels being too much, today, will be buying that same Canon in a few years. Technology is always moving forward. It represents progress. Should we all just stay satisfied with today's status quo? Or, should society and technology continue to grow? They were rhetorical questions. Of course we want to move forward. Now, bring on those megapixels! I want to see the day that I can take one photo, print it, and wallpaper my entire house with it. Of course, my better half would not find the idea too appealing. It would be kinda cool though. As camera technology continues to move forward and those damn pixels keep multiplying, so will our home computer storage requirements. That 1 terabyte drive that you purchased today will quickly become obsolete and we all will be showing off our new 10 petabyte drive. Of course that surely will be the last external drive you would ever buy. Why? 10 petabytes! No one in a lifetime would be able to fill a drive with that much storage. 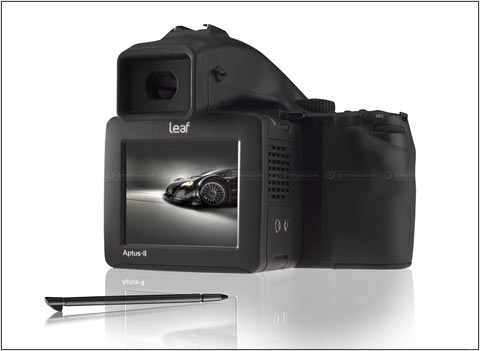 I will be saddened due to the fact that I will not be able to afford the Leaf Aptus II 12 digital back, this year. On the other hand, I will enjoy some new Fruit of Looms. It's OK, I've grown attached to my Canon. We've been through a lot together. It is up there in age though. A three year old camera is no spring chicken. It's probably going to soon end up in the camera nursing home, getting dialysis three days a week, just to survive. I will have to let go soon enough, bury it, and find a younger love (yes, I'm still talking about my camera. Yes, I'm strange). If you are not using trash bags and Tupperware cake lids as light modifiers, drive a Bentley and have money to burn, then I would highly recommend the Leaf Aptus II 12 digital back. It is manufactured by Phase One. The new Leaf is compatible with, but not limited to, Phase One, Hasselblad and Mamiya cameras. 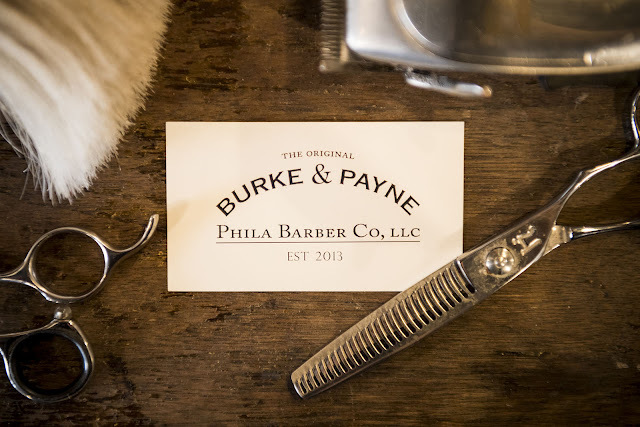 If you fall into this category of, more-money-than-I-know-what-to-do-with, maybe a loved one can buy for you as this year's little stocking stuffer. Time to go. I have to run to the store. I'm in need of a new softbox, and trash bags are on sale at the market.